The Destruction of Sodom and Gomorrah by John Martin (1852). Death's Shadow by Howard Lyon. This past week I had the chance to sit down with MagicFest Toronto champion Michael Rapp. Michael is a regular Modern player at the LGS I’ve come to call my home store - NexGen Comics in Pelham, New Hampshire. We talked about his experience up in Toronto and the development of the Grixis Death's Shadow deck he played with such success. We also talked at length about his favorite non-competitive Magic format - Commander Cube. I was able to shape my notes from our discussion about Modern and MagicFest Toronto into a separate article you can find here on CoolStuffInc.com, but today’s Commanderruminations column is going to focus on everything I learned from him about the format he loves to play when he isn’t playing Modern. My hope was that when Michael and I sat down to talk about Modern I would find out that he is secretly an avid Commander player with a favorite deck and a wealth of stories to share about his crazy EDH shenanigans. Michael used to play Commander in the years before he started playing Modern at NexGen. He had a Krenko, Mob Boss deck that was built to be able to combo off but not be too oppressive for the friends he was playing with. This was years ago, at a time when a deck like Krenko might have seemed more powerful than if it were compared to the average decks we see in the format these days. He enjoyed Commander but struggled with the disparity between the weaker decks and the stronger decks in their meta. Maintaining a balance in power levels has always been one of the greatest challenges in creating a healthy playgroup and eventually he found himself moving away from the format. The challenge of balancing deck power levels so that you can have fun, enjoyable games is not an easily solved problem, but Michael’s group of friends has found a pretty good solution. Marcus Roth, a friend of Michael’s developed a Commander Cube. He certainly didn’t invent cubing, but he found that by having a group participate in the care and maintenance of the cube would give them complete control over the power level of cards they have access to when they draft. If you’re unfamiliar with cubing, let me step back a bit and relate how Michael explained it to me. Their Commander Cube is built to be able to support games of 6-8 players. The players draft cards much like in a normal draft, but using four 15-card packs per player. That means they all sit at a table, open packs and pick one card and pass the rest to the next player. Eventually they will each have drawn 15 cards from all the different packs, much like how players draft regular Magic sets. They are maintaining a collection of 480 cards in the Cube. All of the regular players have contributed to the Cube and they can all participate in the process of adding and removing cards. It’s no small task to maintain such a large collection of cards and ensure that the power levels are just right. They also have a pool of legendary creatures separated into 5-card packs and prior to the main draft, the group drafts their commanders from those packs. The Commander pool has three of each two color pair, three of each three color pair and one five-color commander, so that makes 61 possible options. I asked how they build full 100-card decks from the cards they draft without breaking the color restrictions set by the color identity of their general. The answer is simple - they build 50 card decks, not 100 cards decks. In many games of commander you don’t see half your deck anyways, so it makes sense that a 50-card deck would work just fine. When asked about other commander rules, Michael pointed out that they essentially have a banlist made up of every card they haven’t included in the Cube. 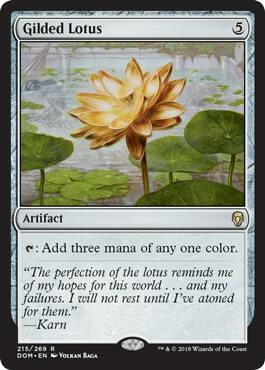 For example, they have essentially banned infect by just not including any cards with infect on them. It’s easy for cards to come off of their banlist because they decide to add them into the Cube. The group collaborates on deciding what cards go into the Cube, so they shape the play experience they want to have by the choices they make on what cards go in. They often add and remove cards just to keep things fresh. One might wonder if a group composed of very competitive players, including 5 pro tour players, would want to have a Cube with super-powerful cards. Surprisingly, the answer is no. When asked if the Cube contained stuff like Mana Crypt, Mana Vault, Doubling Season, Paradox Engine, Panharmonicon, and Helm of the Host, Mike told me that the Cube has none of those cards. The mana acceleration, for example, is more in line with the Diamond Cycle, Mind Stone, Gilded Lotus and Coldsteel Heart. I think they don’t want too many of the cards to be auto-picks when you’re drafting and they want the game won by the players, not what packs they happened to start with in the draft. Having a closed group responsible for maintaining the Cube means they get to break rules when they feel like breaking rules. For example, they have included a number of Conspiracies, as the drafting process can be made much more interesting with those thrown into the mix. If you were wondering how Michael’s Commander Cube group manages to play seven and eight player games frequently without losing their minds, the answer is that they play Kingdoms instead of playing regular Commander games. Kingdoms is a variant based upon the wild west card game “Bang” in which each player is randomly assigned a role. Michael’s group plays with 1 King, 1 Knight, 2 Bandits, an Assassin and an Imposter. If they have 7 players they add another Bandit and if they have 8 players they add another Knight. The King plays with their role revealed and they win the game if all the non-King and non-Knight players are dead. The Knights win if the King wins. The Bandits win if the King dies. The Assassin wins if the Bandits and the King all die. The Impostor trades roles (and win conditions) with whoever they kill. In the early game everyone usually pretends they are a knight. Once the first Bandit role seems clear, everyone goes after that player. When the first bandit outs themselves, the other bandits either follow suit if they think they have a strong enough position, or continue to hide. The combination of drafting Commander decks (or half-decks), the complexity of multiplayer politics, and the added layer of roles brought to the game by playing Kingdoms seems to have given Michael and his friends a perfect escape from the more serious challenge of training to compete at a high level in Modern. Not only have I never played Commander Cube or Modern - I’ve also never been to a Grand Prix or MagicFest. I don’t play in any competitive formats and my Saturdays are pretty busy with the Commander league I run, so I simply haven’t found myself free on a weekend when a local major Magic event was happening. I do listen to a lot of podcasts, so I had some idea about what goes on at a MagicFest. When I asked Michael what his experience of these events was usually like and what he thought a casual Commander player might do at one, he had a lot to say. He usually drives to them with a group of friends, many of whom also compete at a very high level. When the event is close by, they try to go early, check out the artists and play some side events. For Michael and his friends, Saturday is pretty much taken up with participating in the Modern competition. Sunday is a bit of a coin flip based upon whether or not he made the day two cut. If the event is further away, travel can affect their plans. They try to check out local eateries and avoid chains because you can go to an Applebees anywhere, but finding a great local restaurant gives you something to really look forward to on future trips. Michael told me a Commander player could easily play in side events and jam 4-player pods of Commander all weekend long. There are packages you can purchase with side event badges that are good for the whole weekend, so you could play Commander, draft, sealed and other events and have a very full weekend of Magic. I’m always curious about other formats, though I’m so deeply entrenched in Commander that I have a hard time imagining ever moving away from it. Before we wrapped up our conversation I asked Michael if there was any advice he might offer to a Commander player who was interested in dipping their toe into Modern. Michael warned me that it can be frustrating, and gave me the following advice to share with you. He started by saying that you should first find out how you like to play Magic. There are viable decks in the Modern format for pretty much any style of play. If you like combo, there are a number of options you can play. There are Storm decks, Artifact decks, and graveyard based decks. If you like aggro, Humans, Spirits, and Burn are all good. There are decent Midrange decks and Control decks. The format is especially diverse if you’re just playing at the LGS level, as you can play a much wider variety of decks and have a chance at seeing some success. If you’re just playing at your LGS, you can really experiment and have fun building decks even if they wind up being bad. If your ideas are good, they have probably been refined by more experienced players already. You can easily research what the viable competitive Modern deck lists are and take your experiment to the next level. One good note about Modern and other formats that are run by Wizards of the Coast is that they actively work to keep the format diverse. If one deck gets up near (or over) a 60% win rate in the meta, there’s a good chance that cards will be banned to push those decks back down again. While that might be frustrating if you’ve been building the deck that just got nerfed, it does mean that new players can trust that Wizards will always want a variety of decks to be viable in the format. While Commander can often become a haven for creative players to build decks that are as much about self-expression as they are about competitiveness, Michael certainly doesn’t play Modern to engage in self-expression and creative deck-building. For him, the fun of Modern is in figuring out the puzzle of what the best deck is going to be for the current meta. He is drawn to the challenge of trying to pilot his chosen deck through the field of decks that happen to show up to each event. If you play Modern on a serious level, you wind up seeing trends in the metagame and will hopefully learn how to turn those insights to your advantage. When asked what his favorite deck in the Commander Cube was, Michael thought about it for a moment and told me that he most enjoyed decks that are proactive and that regardless of their role can end the game quickly doing powerful things. I doubt I’ll be moving away from my favorite format anytime soon, and I very much doubt I’ll be trying Modern, but I came away from my conversation with Michael with a greater appreciation of why someone would fall in love with Commander Cube. Having a built-in way to manage power levels and the ability to remove problem cards from the meta without personally offending or picking on the player or players who run them in their decks is actually quite brilliant. As a deck-builder who is constantly mixing up his arsenal of Commander decks, I can also see the attraction in being able to draft a different deck every time you play your Commander Cube. If you’re interested in reading about Michael’s Modern Grixis Death's Shadow deck, keep an eye out for my other column, entitled “Hometown Hero”. That’s all I’ve got for you today. Thanks for reading!